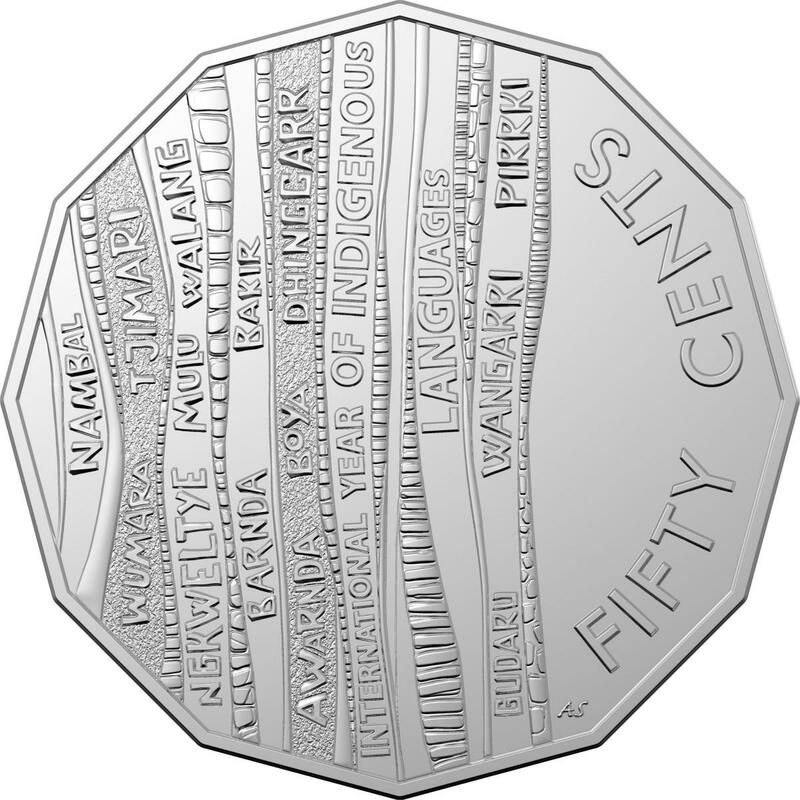 This week the Royal Australian Mint announced the release of a commemorative 50 cent coin for the International Year of Indigenous Languages! The new coin features the word for ‘money’ in fourteen Aboriginal and Torres Strait Islander languages from across Australia. The Australian Institute of Aboriginal and Torres Strait Islander Studies (AIATSIS) collaborated on the initiative which included consultations with the fourteen language groups represented on the new coinage. banggul: Gamilaraay, Yuwaalaraay, Yuwaalayaay Dictionary entry. The concept of ‘money’ or ‘coins’ was not an element of traditional Aboriginal and Torres Strait Islander cultures and was introduced post-contact. Most words referring to money or coins are based on ‘stones’ or ‘rocks’ due to the similar appearance of coins. In the example, above from Yuwaalaraay, banggul or ban.gu is used for money – traditionally it referred to small flat stones. Closeup of 50 cent coin. All of these words traditionally referred to ‘stones’ and were later adapted for coins. The Royal Australian Mint has developed an interactive website that provides more details on the 14 languages and where to obtain further information. This is a great initiative from the Royal Australian Mint to raise awareness of Aboriginal and Torres Strait Islander languages as part of the International Year for Indigenous Languages. “International Year of Indigenous Languages commemorated with new coins” online article. Royal Australian Mint: Media Release. 2019 International Year of Indigenous Languages: Word of the Week – Week Sixteen.